It’s nearly 110 degrees outside in Fort Worth, Texas, which makes it really hard to believe that it’s almost time to go back to school. Many school districts in the North Texas area have just a few more weeks before everybody returns to class. These last few weeks of summer are a great time to get in for an orthodontic exam because it may be a easier to schedule the time. 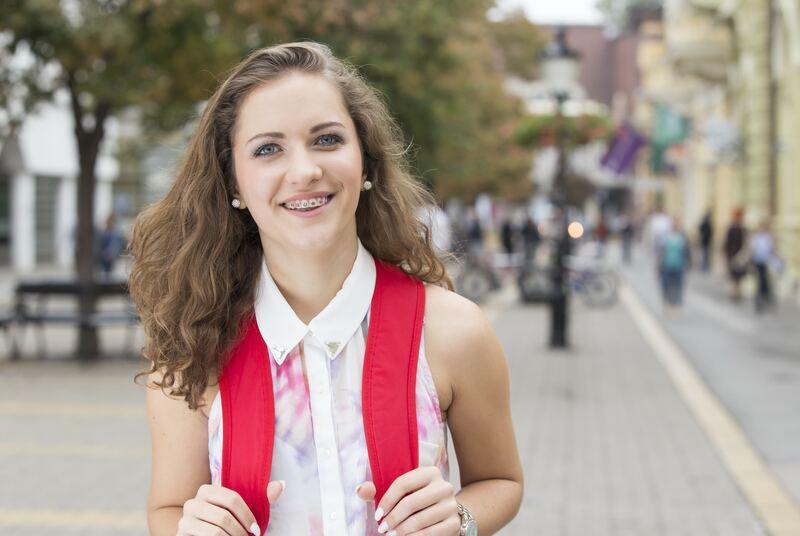 For those of you who have already had an exam and are wearing some form of orthodontic treatment, we have some back-to-school tips for you. When you wear traditional metal bracket and wire braces, you know how important it is to keep them clean. To do so, you should bring a braces kit to school with you. In the kit, there should be a toothbrush, toothpaste, and flossers to use after every meal or snack. If you wear removable Invisalign aligners, it’s important to bring a case to safely keep it when you clean your smile, eat, or drink. For lunch and snacks, it is important to be mindful of the food you eat. Crunchy, hard foods like raw carrots, apples, chips or nuts can break or damage brackets. Sticky foods like gum or taffy can get stuck and damage braces. Food should be in bite size bites to avoid getting it stuck in the brackets. If you wear Invisalign, you can eat whatever you want as long as you fully clean your smile before putting the aligners back. Drinking plenty of water throughout the day is important with whatever form of orthodontics you wear. Physical activity can be dangerous for a kid wearing braces, so protection is always important. A mouth guard that it is big enough to cover the braces can add a layer of safety for the smile. Dr. Cabal can help your family’s smiles get ready to go back to school. To schedule your consultation call Lake Country Orthodontics at (817) 236-7846. Located in Ft. Worth, TX, our office proudly serves patients who live in White Settlement, North Ft. Worth, Springtown, Rome, Haslet, Azle, Saginaw, and all surrounding communities.